This 1957 ROLEX EXPLORER ref. 5506 40 micron gold plated “Super Precision” with stainless steel back vintage watch has a completely original honeycomb dial and Dauphine handset. This original dial is amazingly preserved. 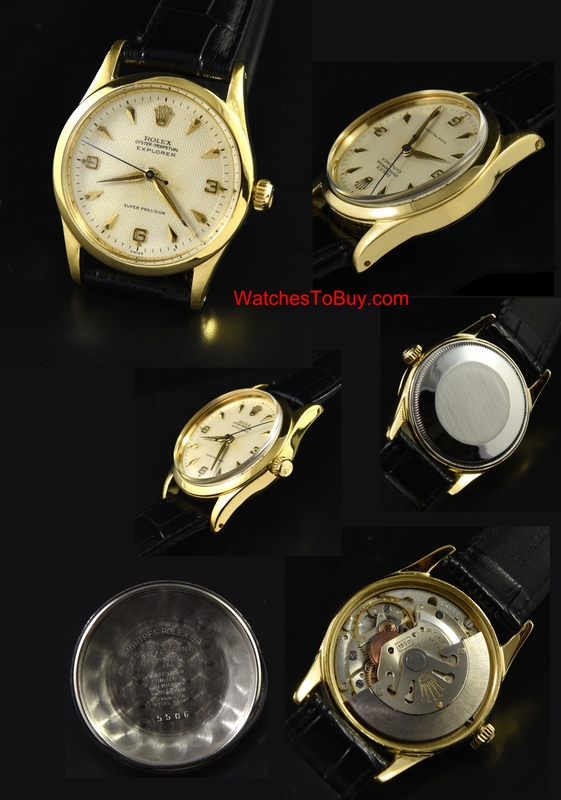 The case and ROLEX winding crown display very clean condition. The caliber 1530 automatic movement was just cleaned and is accurately maintaining time. These ROLEX dress EXPLORERS are a Canadian version run of EXPLORERS produced along side the sports models. 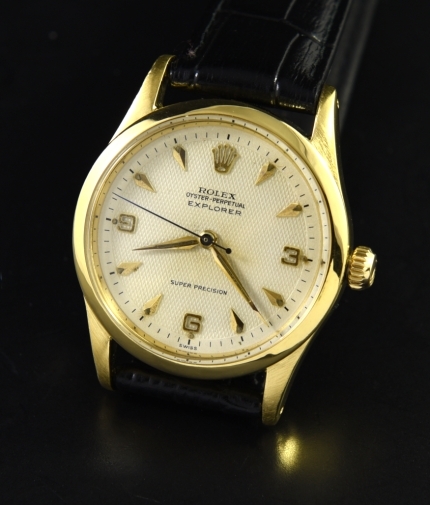 These “dress” Rolex Explorer watches were part of a series of watches produced starting in 1954 with other names; such as “Air-King” , “Metropolitan”, “Everest”, “Meritus” and “Golden Egg”. The Air-King and EXPLORER were the two names which survived the marketing experiment. This really is an amazing looking example.